So if we all start now and each do one. We could have the whole thing done by Monday. That would be great…. 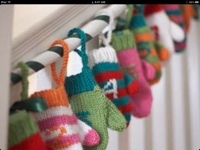 We are having a knitting Party on December 19 4pm till 10 pm.